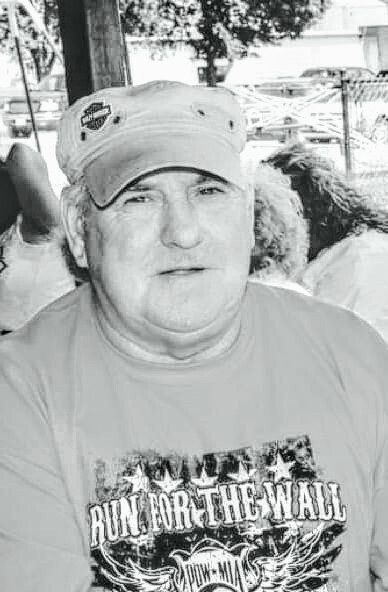 Obituary for Harold Donald Christian | Myers Funeral Home, Inc.
Harold Donald Christian, 69, of Farber, passed away unexpectedly Thursday, November 22, 2018 at his home. Mr. Christian was born January 13, 1949 in Wellsville, Missouri, a son of William Coleman and Anna Elizabeth (Burch) Christian. Harold served his country in the United States Army entering on April 8, 1970 and being honorably discharged on August 17, 1970. He was the recipient of the National Defense Service Medal and Sharpshooter M-16. On December 21, 1974 in Vandalia, Missouri, he married Linda Mae White. They were the parents of two sons. Harold had lived in the Vandalia/Farber area for over 40 years. Prior to that, he lived in Wellsville. He had been a truck driver for OTI, Oliver Transportation Inc. for many years. Harold enjoyed riding his Harley. More than anything, he loved the time he got to spend with his family, especially his grandsons. Harold is survived by his sons, William Robert Christian, of Lee’s Summit and Donald Eugene Christian and fiancée Britni Weigle, of Osage Beach; grandsons, Brayden William Christian and Kasen Edward Christian, of Vandalia; mother, Anna Elizabeth Christian, of Wellsville; sisters, Della Mae Walag, of Centerville, Iowa and Martha Kay McCormack and husband, Alan, of Williamsburg; in addition to numerous nieces and nephews. He was preceded in death by his father, William Coleman Christian; infant brother; brothers, Bobby Christian, Danny Christian, Arthur William “Ott” Christian and sisters, Gloria Sue Hicks, Delores Fay Hank and Mardell Harlan. Funeral services were at 2:00 p.m., Sunday, November 25, 2018 at the Myers Funeral Home in Wellsville. Rev. Glenn Foreman officiated. Visitation was held from 12:00 noon until the time of service, Sunday, at the funeral home. Burial was in the Wellsville Cemetery. Serving as pallbearers were Brian Christian, Steve Davis, Tyler Davis, Jim Gehringer, Randy McCurdy and Scott Walag. Full Military Honors were provided by Wellsville VFW Post 3056. Missouri Military Funeral Honors Team folded and presented the United States Flag.